Right from our facilities' designs to emergency response plans, our focus on safety is integrated into everything we do at Cameco. 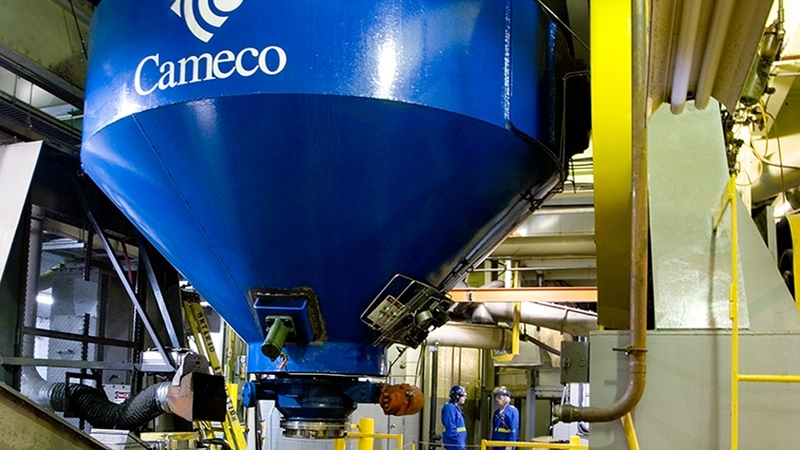 Cameco's health and safety programs foster and promote a strong and sustainable safety culture. At Cameco's Ontario operations, every employee plays a large role in safety. We are continually looking at ways to improve our processes, procedures and programs by involving employees who work directly within these environments. A comprehensive safety analysis, which evaluates the potential hazards associated with current operational activities, is performed every five years at all sites. The analysis identifies preventive measures to be implemented, such as equipment maintenance programs, process modifications, to reduce effects of any potential hazards detected. The safety analysis may also identify a need for changes to the physical design of equipment, processes and the facility with the potential to impact environment, radiation protection, health and safety and fire protection. Our site design controls ensure that none of those changes will have an adverse effect on the environment, the health and safety of employees or members of the public. documentation of health and safety significant incidents from the start through to the verification of completion of corrective actions. To safeguard our workers, the public and the environment, Cameco takes action on elevated results long before they reach regulatory limits. Exceedance of an action level does not pose a risk to people or the environment. administrative levels – a continual improvement tool, these are lower-tier internal limits established to provide very early warning of potential concern. Results above administrative levels are investigated and corrective actions taken as required. action levels – established well below regulatory limits, action levels serve as an early warning of conditions requiring investigation and corrective action. All of our Ontario facilities maintain comprehensive fire prevention and emergency preparedness programs. These procedures must exist for emergencies and other non-routine conditions. They are designed to protect the health and safety of employees, contractors, the public and the environment. All drills and exercises are assessed against pre-defined expectations and opportunities for improvement are recorded and tracked to completion. Full scale emergency response exercises, including local emergency medical services and hospitals, are typically held every three to five years in Blind River and Port Hope.